A shredder is a machine or equipment used for shredding. Shredding systems are used to reduce the size of a given material. 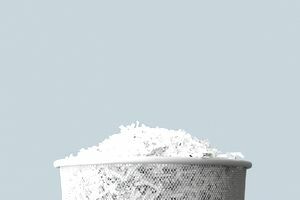 While most online dictionaries define the shredder as “a device used for shredding documents as a security measure to prevent identity theft," shredders can be of many types based on the material being processed. There are shredders designed to support material reduction across a range of recycling applications, including plastic recycling, e-waste recycling, scrap metal, tire recycling, and wood recycling. The shredding process produces raw material to be re-introduced into manufacturing, as well as finished products such as ​landscape mulch. Various terminology is used to describe size reduction equipment, including grinders, chippers, granulators and hammer mills. Overall, their main function is to reduce the size of a given material. Based on the purpose of use, shredders can be categorized as consumer shredders and industrial shredders. Thus, a paper shredder normally falls into the category of consumer shredder as it is mostly used by consumers. Industrial shredders are typically heavy-duty and high volume systems used to process such recycling material streams as e-waste, plastic, wood, and paper. Industrial shredders are equipped with different kinds of cutting systems such as vertical shaft design, horizontal shaft design, single shaft, two shaft, three shaft, and four shaft cutting systems. In waste management, industrial shredders for waste products play a very crucial role. The benefits of using mega-shredders in large-scale waste disposal systems recycling centers and municipal landfills are related to material reduction. Asphalt, rubber, wood, plastics and similar materials can be quickly condensed to a mere fraction of their original size. Also of note, bio-degradable waste decomposes faster when shredded. If properly shredded, the materials that are buried in landfills take much less space. In today’s economic environment, communities and businesses are always looking for new ways of cutting costs and the use of shredders provides new strategic options. There are two main purposes of shredding materials in the recycling process. A flat incline belt is often used to feed materials into the shredder. The material can be placed on the belt through a variety of methods, depending on the particular operation. Material handling equipment assigned to perform this task can include grappling devices, front-end loaders, forklifts, and drop-bottom containers. Shredding solutions of choice typically involve low speed, high torque units that slowly tear material apart, minimizing problems such as embedding metal in plastic during the shredding process. Where large items are to be shredded versus a stream of only smaller items, a larger primary breakdown unit may be required. A second pass can be then made with a secondary shredder or granulator to further reduce particle size and facilitate the liberation of recyclable materials. Sizing screens are utilized to ensure a uniformly sized product. Some vendors offer a single pass machine that will do both the primary breakdown and particle reduction. A variety of sorting machines can be used to sort material for maximum recovery.